As previously reported on BoxingScene.com on Tuesday, the World Boxing Council announced day that a deal has been reached for Japan’s Tomoki Kameda to challenge Mexico’s WBC super bantamweight champion Rey Vargas for the title. The date, venue and purse for the fight were not announced. But Vargas’ co-promoter, Promociones De Pueblo, who handle the boxer with Golden Boy Promotions, have revealed to ESPN Deportes that a date in July is being targeted for the fight. The 27-year-old Kameda became the mandatory challenger by beating Spain’s Abigail Medina for the interim title last November at Tokyo’s Korakuen Hall. Vargas has been the WBC champion since winning the vacant crown in February 2017. The 28-year-old Mexican has a 33-0 record, with 22 knockouts. Kameda, a former World Boxing Organization bantamweight titleholder, is 36-2 with 20 KOs. The Osaka native is the youngest of three brothers from a renowned boxing family. His older brothers Koki and Daiki, both retired, were both multiple-weight world champions. The contest is actually a rematch between Vargas and Kameda, but it’s only the first as a professional. 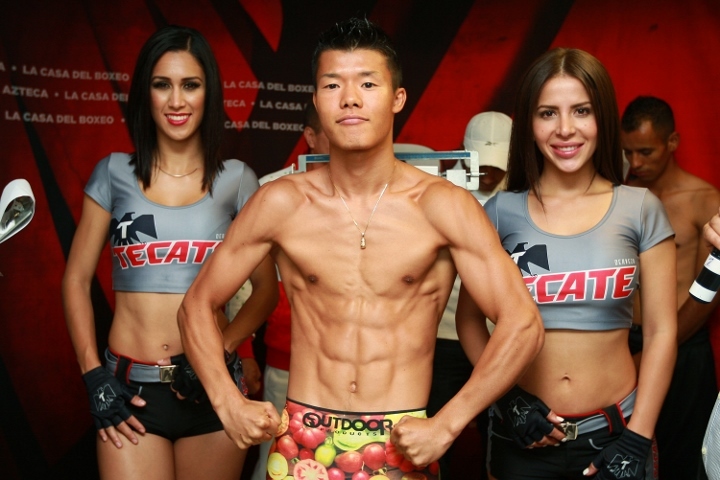 Before invading the paid ranks, Vargas defeated Tomoki in an amateur bout in Mexico City, so it will be a long awaited revenge bout after more than 10 years of that initial confrontation.